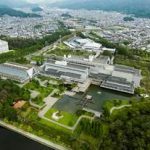 Kyoto is home to a new, uniquely designed convention and exhibition venue, the “New Hall” at the Kyoto International Conference Center (ICC Kyoto), as revealed by Kyoto City Tourism Association today. Open since earlier this month, the stunning new venue features a unique design that incorporates both traditional and contemporary elements. The third independent building within the ICC Kyoto complex, the new space boasts a multi-purpose usage area of 2,000 square meters that can hold up to 2,000 attendees. 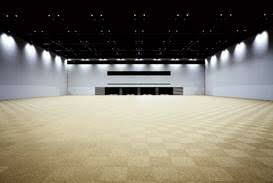 The adjacent Event Hall (3,000 square metres) may be used simultaneously, allowing large-scale events for more than 4,000 attendees. Designed by the reputable Nikken Sekkei group, New Hall was created to incorporate the latest technology with a simple, yet very Kyoto-style design and aesthetic that includes the use of wooden material, rice-paper wall features, locally produced Kyo-yaki ceramic tiles, traditional Nishijin Kyoto woven silk fabric brocade and traditional lacquered features. 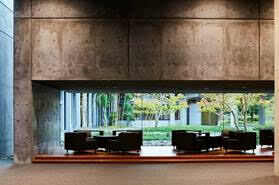 The venue employs the latest green and sustainable technology in both its construction and ongoing management and features a highly sophisticated fibre-optic digital network system that connects throughout the entire ICC Kyoto Complex. On the occasion of the opening of New Hall, ICC Kyoto has also revamped its catering service for both the New Hall and adjacent Event Hall. Partnerships with hotels in Kyoto have been expanded to strengthen response to demand for large parties of several hundred to one thousand attendees and ICC Kyoto is improving the quality of its catering service to heighten the culinary satisfaction of conference organizers and attendees. Just 15 minutes easy access from the city centre, ICC Kyoto is a large exhibition complex of 156,000 square metres that contains a Main Hall, Event Hall, Annex Hall, Japanese garden, and now the ‘New Hall’, as well as an adjacent hotel located along Lake Takaragaike. Since its opening in 1966, ICC Kyoto has welcomed more than 12 million guests from all over the world and is a regular venue for major international conventions, conferences, exhibitions and events.